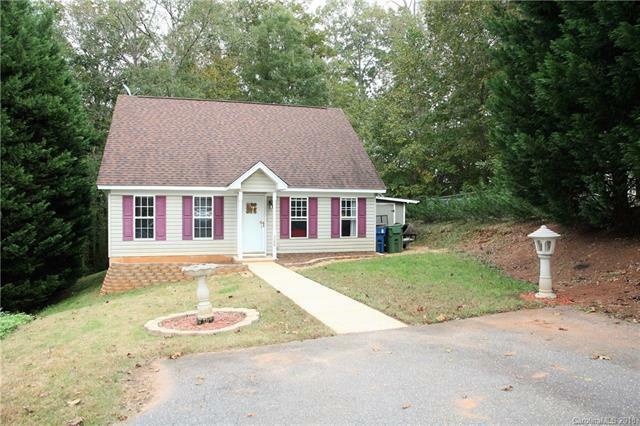 Wonderfully kept 3 bedroom home! Located in a cul-de-sac down a quiet street. Kitchen features stainless appliances and nice tile backsplash. Deck and patio off of kitchen is perfect for entertaining. Private backyard with storage shed/outbuilding. Additional 12x24 workshop on the side of the house. Master suite downstairs! Living room features gorgeous hardwood floors. Located in the Stuart Cramer school district! No pesky HOA! This one will not last long!